Wally Lopez, Spain’s biggest DJ/producer, joins the Positiva label for the release of The Japanese Popstars remix which has been available on Beatport since August 13th and is out on all sites on the 27th August. Having already delivered huge remixes for Beyonce, Daft Punk, Depeche Mode, The Ting Tings, and The Editors, The Japanese Popstars are more than qualified to deliver a main room bomb. Their remix should tick all the right boxes on the most discerning of dance floors. Always at the forefront of dance and electronic music, with ‘Keep Running The Melody’ feat Kreesha Turner, Wally has nailed a track that should be capable of competing with the best of today's electronic music. The current collaboration with Canadian R&B singer Kreesha Turner is the first single from Wally‘s forthcoming debut album, which promises more collaborations. 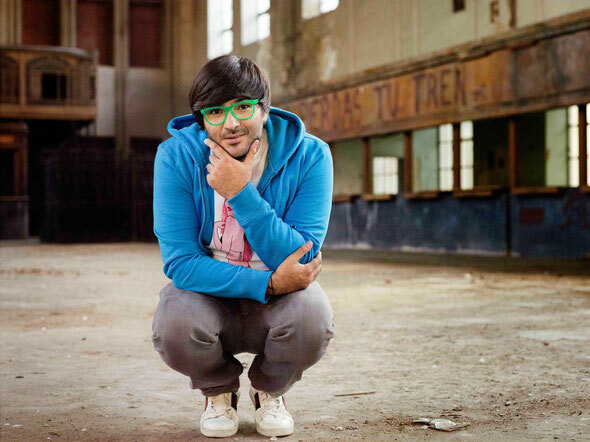 Wally was one of the very few Spanish DJs to be found in the Top 100 of the DJ Mag poll, as well as being the only Spanish DJ to have made two Essential Mixes for BBC1. He has remixed the likes of Tiësto, Dirty Vegas, Bob Sinclar, Robbie Rivera, Lighthouse Family, Pete Tong, Enigma, Santana, Âme, Soul Seekerzto, to name a few. Check it out below.